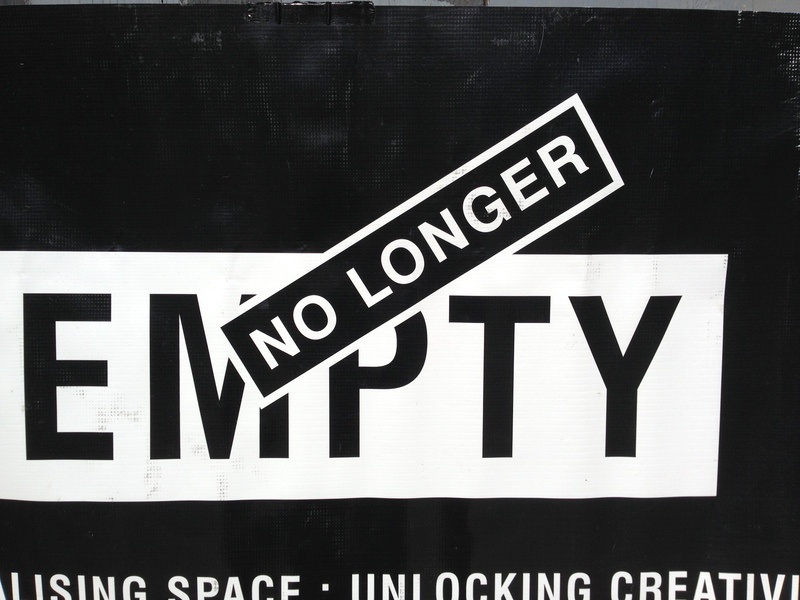 When a gallery doesn’t publish a telephone number and has a name like No Longer Empty, there is not much 411 can do to help you find it. They don’t understand my accent at the best of times, and on this occasion tried connecting me to an attorney… But it was worth persisting through the ring roads of Long Island City because the exhibition in the newly inhabited Clock Tower was a real find. 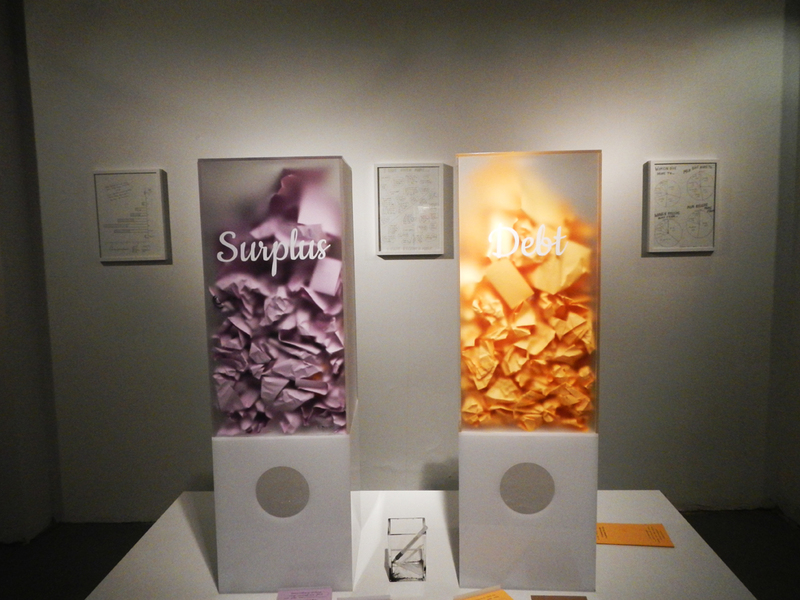 ‘How Much Do I Owe You’ is an exploration into the meaning of currency, value and exchange at this time of financial flux, growing debt and job insecurity. There were multiple artists presenting their work in different mediums, and what created a context from the outset was that the Clock Tower used to house a bank. The massive safes, stark architecture and lack of toilets paid homage to the past, but the artwork was current and thoughtful. 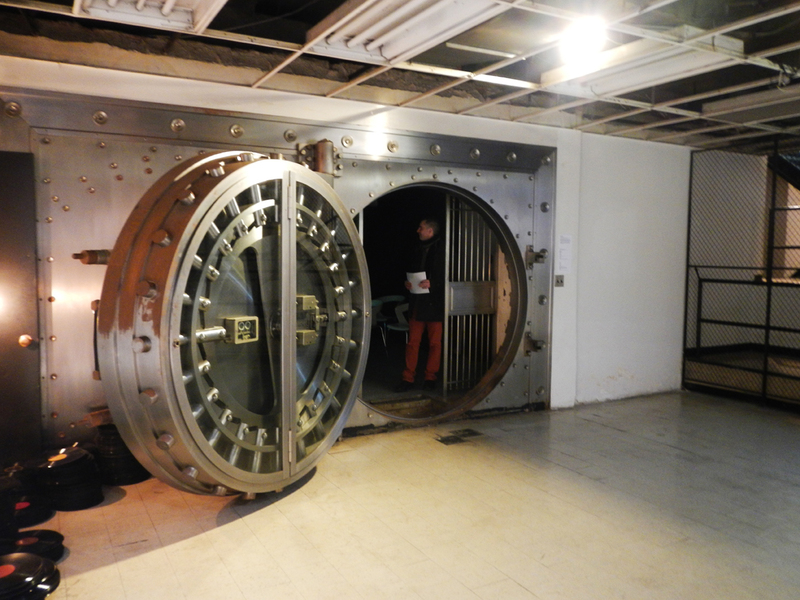 In one vault there was a short French film using dancers to personify the emotions of a Wall Street banker falling from grace, in another there were fresh herbs struggling to survive while oxygen masks dropped down from the ceiling. Children were asked to draw in their own bank notes to give their take on money. One artist covered a whole wall with ( fake ) Chinese lottery tickets. 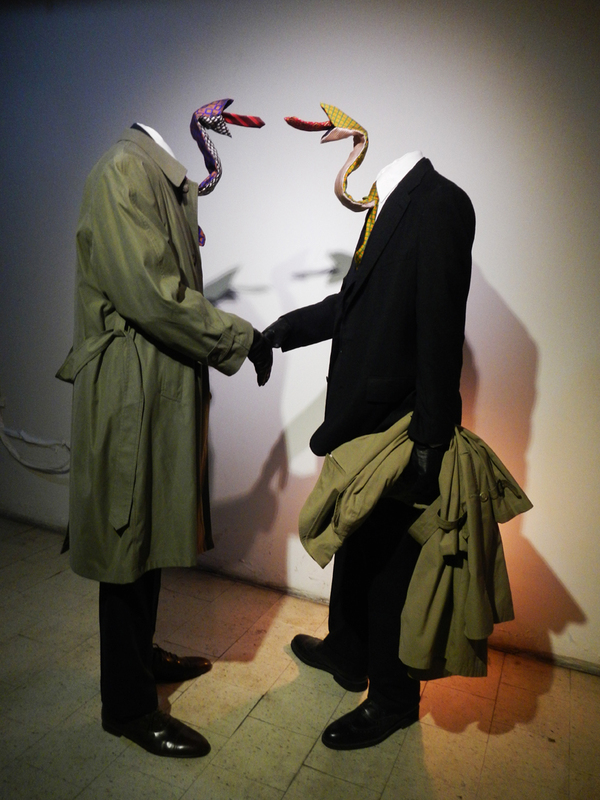 I really liked the two businessmen shaking hands as though to seal a deal, while their ties gave away the true sense of their business together. 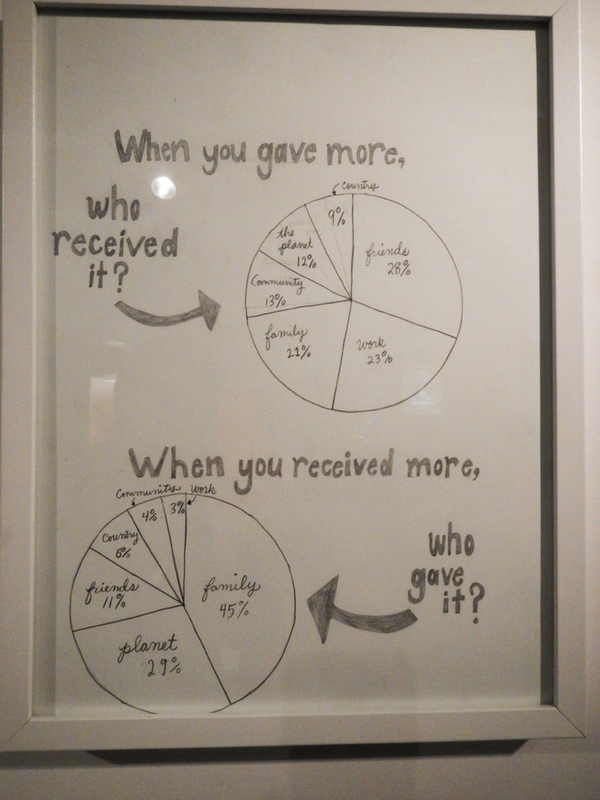 But my favorite was the conversation raised about giving and taking and the parallels made with debt and surplus. 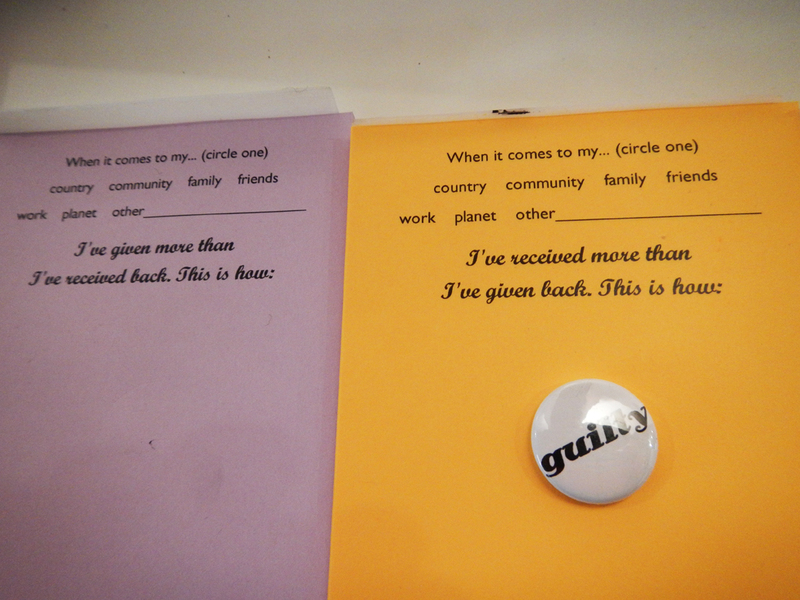 For your sharing of information on a purple or yellow piece of paper you could choose a badge that said things like patsy, giver or guilty. 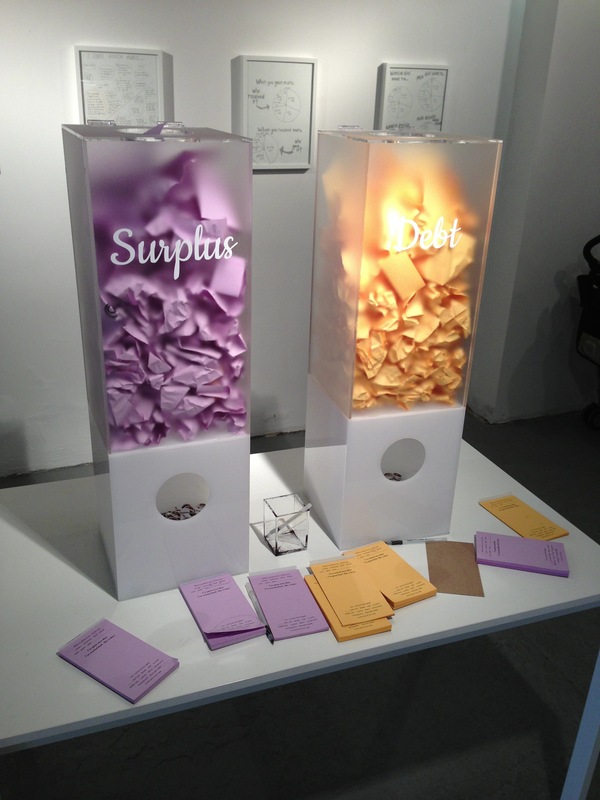 I felt I was certainly guilty of receiving a great bounty in my life, but this is more of an emotional surplus rather than a financial one, and by this I didn’t really consider myself contributing to the world’s debt. 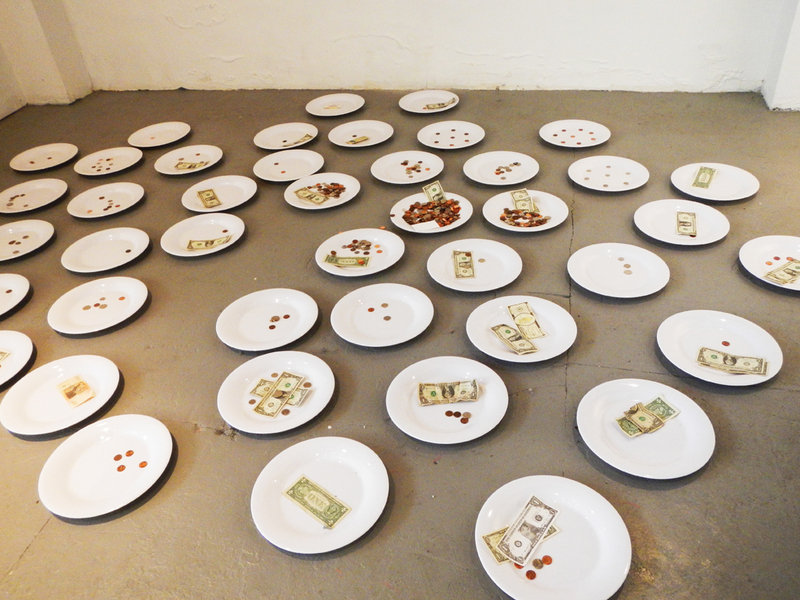 In fact, in the spirit of recovery and moving forward, Sean placed an Australian $5 note on one of the plates serving money in the exhibit near the entrance. By the time we were ready to leave it was gone. What an irony. Maybe this balances the books – Australian currency is strong after all – but it doesn’t really matter. It’s only money. This entry was posted in art & inspiration and tagged No longer empty. Bookmark the permalink. Always interesting to read your blogs – hope to visit soon. Really like your take on this exhibition.